Recently I visited Stokksund in Trondelag, Mid-Norway. This is the place were I grew up, a small community at the Fosen Pensinula north of Trondheim. 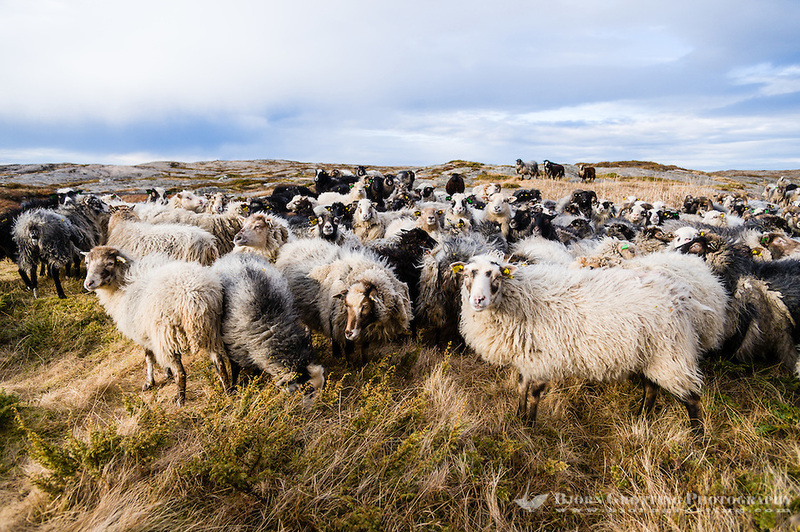 On an evening walk, just before sunset, I encountered a flock of sheep. 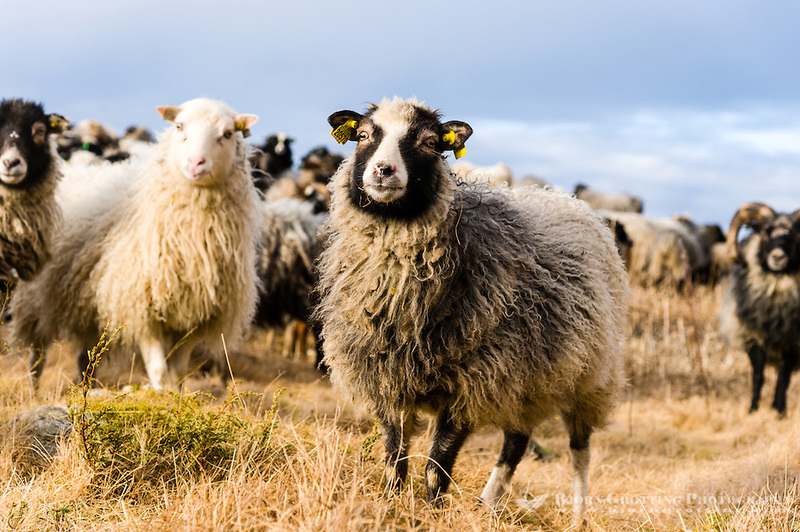 This particular breed, officially called Old Norwegian Sheep, has become more and more popular in this region in recent years and is different from the normal white sheep in several ways. 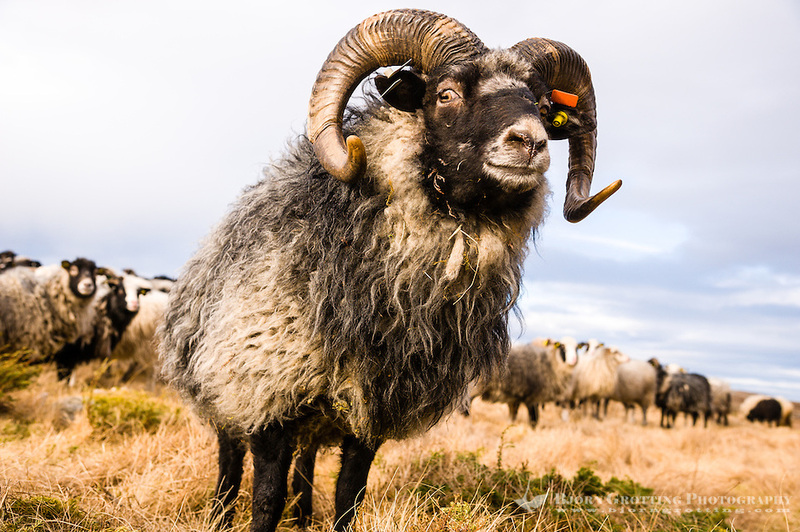 The Old Norwegian Sheep is a small primitive type of sheep which in old days inhabited Norway and the rest of Scandinavia, including Iceland and the Faeroe Islands. Remains have been found that are 3000 years old. The sheep is small, with fleece varying a lot in colour. It is perfectly built for this climate and can stay outdoors the whole year. It also has a more natural instinct regarding predators. 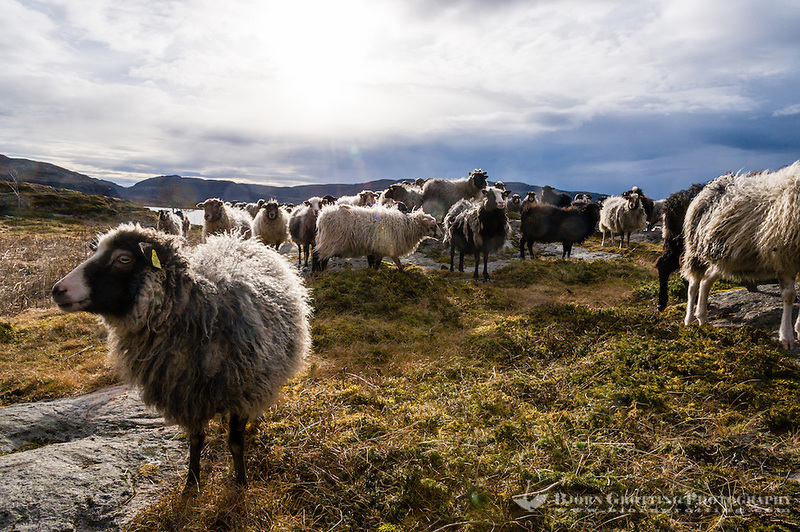 I could see that for myself when approaching the scattered flock. Their first reaction was to run away and then come together as one large group as a natural defence against the enemy. This strong flock instinct have proved efficient against predators like bear, wolf, lynx and wolverine, with almost no loss at all. In this case they soon rejected me as any danger, and soon became very curious. When I reached for something in my bag they all came running towards me to see if there was any goodies to be handed out. Especially now at wintertime the farmer will have to give them some additional food, and at the same time he will try to achieve a certain degree of contact for them not to be too wild. 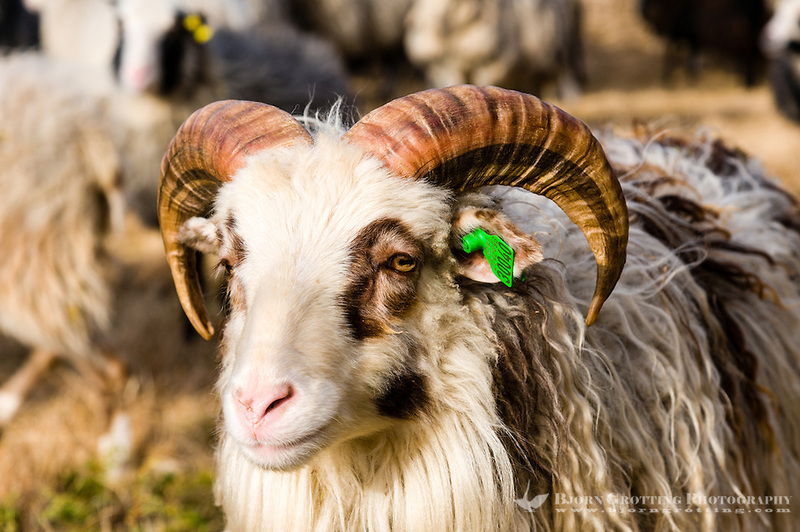 There are many local names for this kind of sheep, like “utgangersau” (outdoor sheep), “ursau” (Original sheep Or Old sheep), wild sheep and “steinaldersau” (stone age sheep). All names indicating the old origin of the breed. The meat has very little fat, and taste more like roe-deer and reindeer. They are indeed a photogenic bunch, adding a lot of colour to this rough but beautiful landscape. 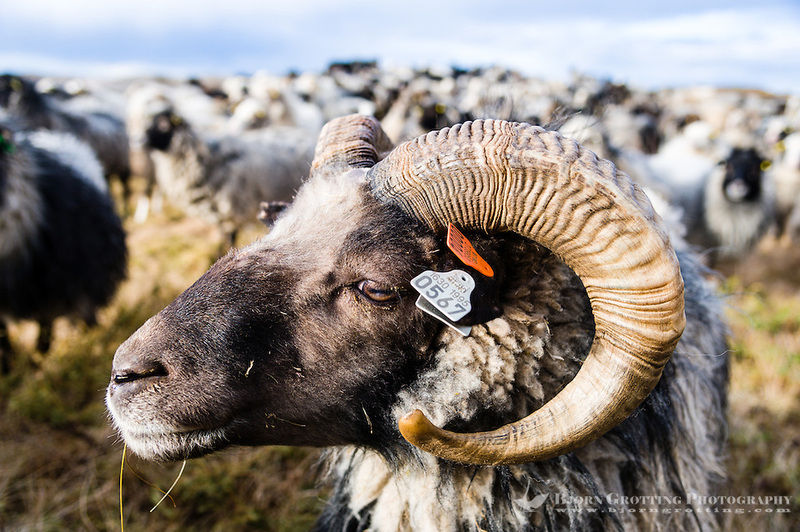 What fantastic evocative sheep photos! How do I buy high-res files to reprint to decorate an educational workshop space, and what are your photo credit requirements? I teach wet felting to small children as a way to learn empathy for animals and nature, the joys of handwork, and the connection between hands and imagination. Hi, if you click on a photo it will take you to a page with a “Buy Prints or Downloads” button. Or you can contact me directly.